You won´t wait for your primers every day? You have top secret developements? You want to start the custom primers business? 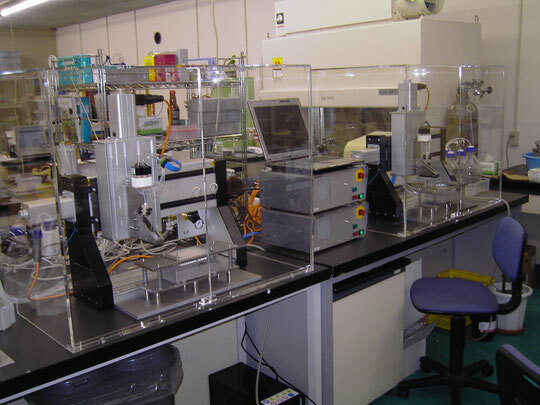 You need a complete laboratory for making primers? of oligo production in our own company with throughput of nearly 20.000 primer per month. documents by label printers in supported by our own software. 96 micro plates or single vials. in 8 columns single vials or 96 micro plates. High cost HPLC equipment not necessary! 6. OD quality and quantity measurement with UV/VIS spectrometer. 7. Pipetting robots fluid handling. 8. Vacuum centrifuge for drying of finished products. CONTACT US - THIS IS OUR BUSINESS SINCE 1990 ! !